I can see the medieval Cathedral of St.Nicolas in Fribourg, Switzerland from my office. And of course I have been in it - what a magical light! The rays of sunlight colored by the glass windows! And last year I was working on the River Itchen, and to do so, I was based in Winchester, together with my wife. Of course we went to the Winchester Cathedral, more then once. And there again this light! Exactly the same happened to me a few weeks ago, in Mexico. 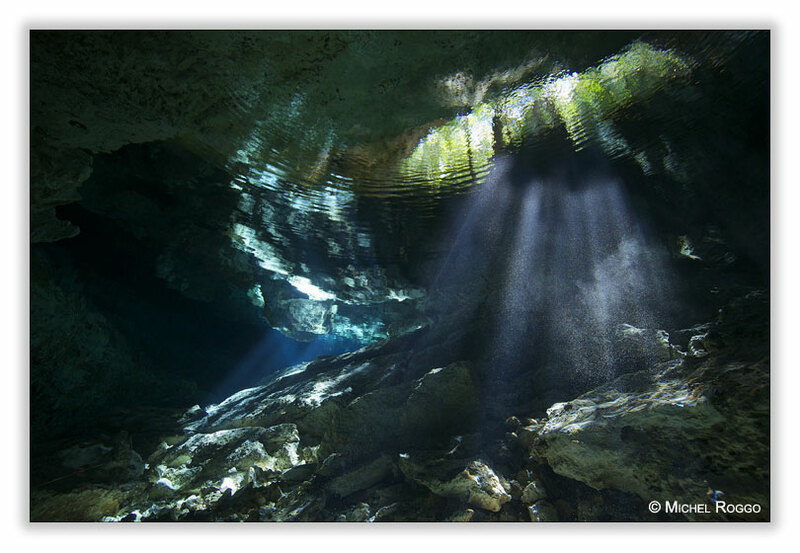 With my dive guide Camilo Garcia (diversunderground.com) we explored the different Cenotes on the Yucatan peninsula. 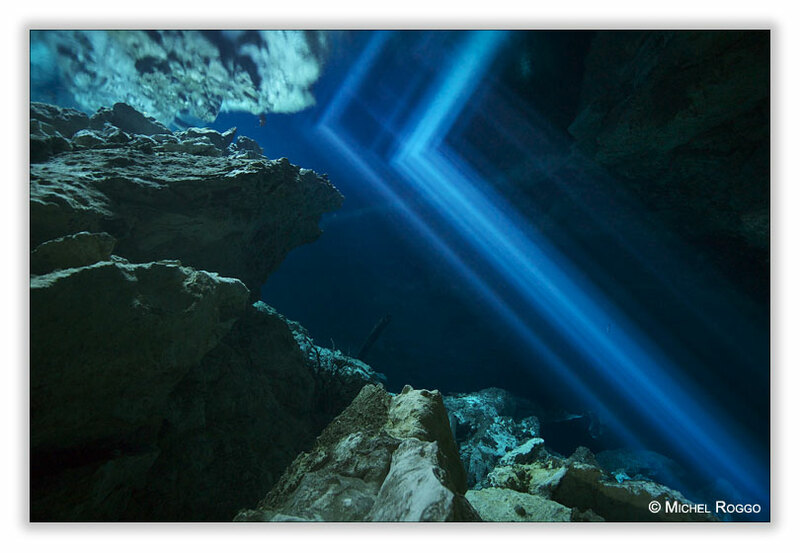 The experience was the same as in a cathedral - what a light, blue rays in dark caverns! It was hard to stay focused on the job - making images. 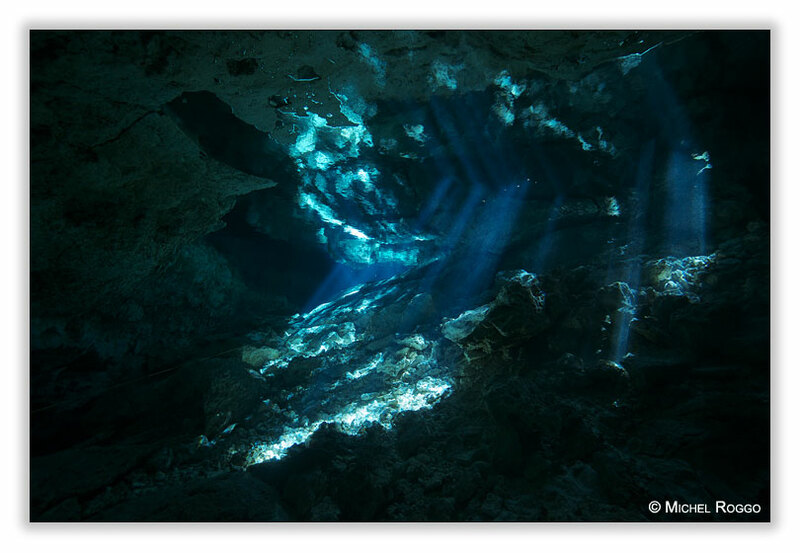 And as I hate it to use flashlight under water, it was even harder. So I made handheld underwater images, with exposures of perhaps 1/4 of a second, and sometimes even of up to a few seconds. That’s what I love, photography under extreme conditions!